Task: to make a user-friendly website about medicine. Chetyre Stihii supplies hospitals, pharmacies, maternity homes and clinics with medical equipment for disinfecting air, transporting gases, space heating, moving cargo and monitoring patients. 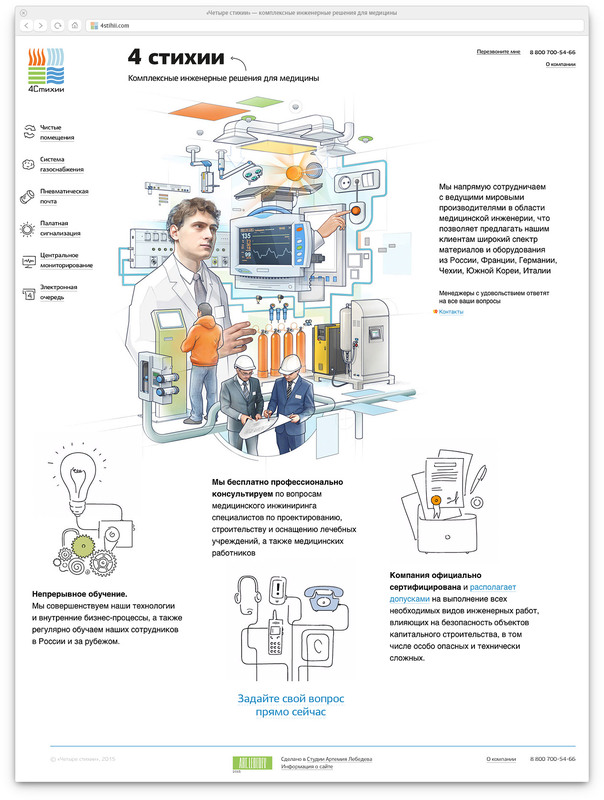 A website where each of the company’s lines of business is presented with a vivid and lively illustration was created at the studio. All the company’s business activities are presented on the overview pages. Professional descriptions are spiced up with bits of interesting trivia. 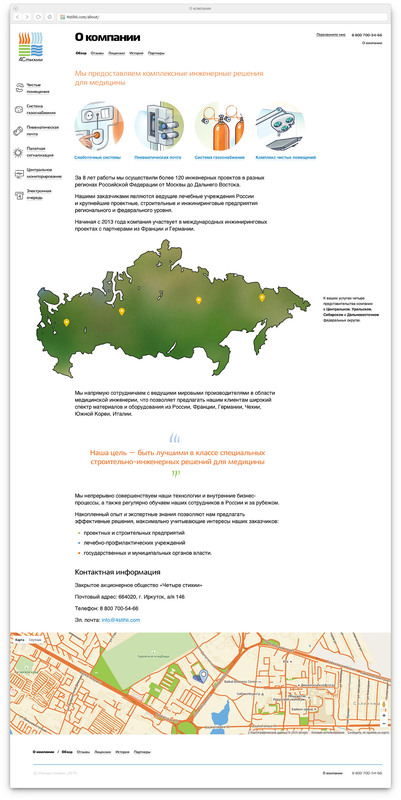 Company’s history, geography and achievements are concisely presented on the About Us page.